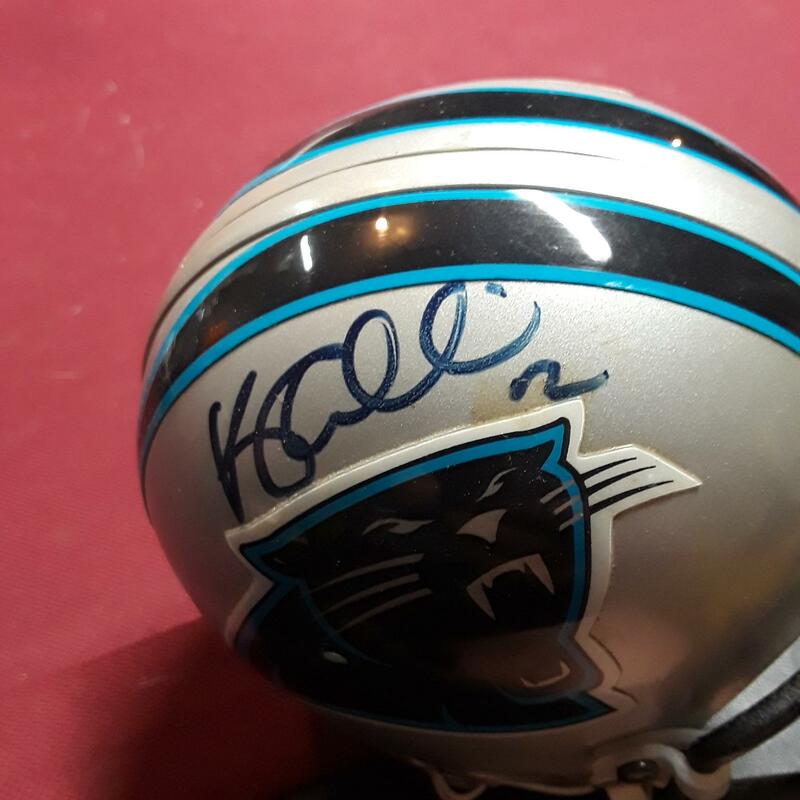 That is from Kerry Collins, #12, QB for the Panthers from 1995-1998. Not the answer you're looking for? Browse other questions tagged american-football nfl autograph-identification or ask your own question. What are the signatures on this Atlanta Braves cap? Who autographed this baseball found in an estate? Is this Darryl Strawberry's autograph on this baseball?